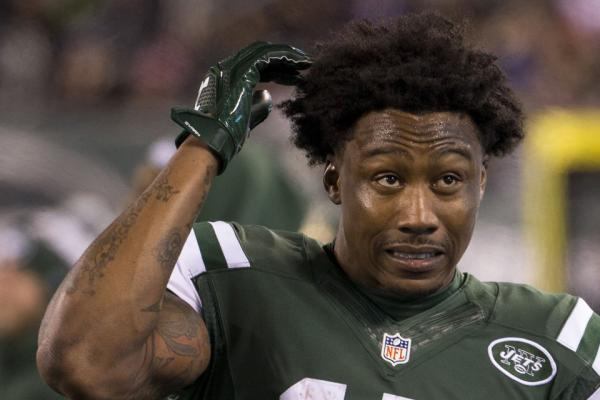 Brandon Marshall was surprisingly released by the Jets last week, as they appear to be starting anew. Given his supreme talent, you knew he wouldn’t be without work for very long. And he won’t have to go very far for his next gig. The veteran wide receiver and the New York Giants have agreed to terms on a 2-year, $12 million deal. The Giants released Victor Cruz not too long ago, leaving a wideout slot available. A combination of Odell Beckham, Jr. and Brandon Marshall on the other side makes for a potentially dangerous aerial attack for the Giants next season. The move represents the best of all worlds for Marshall, who can remain in the city that he loves and continue to work for Showtime as a correspondent for Inside the NFL. Moreover, it represents Marshall’s best chance to reach the playoffs for the first time in his career. The Giants also get a premier wide receiver with some gas left in the tank at a fantastic market value.